Normally by late autumn to early winter I’m not thinking much about gardening. The flower beds are put to rest and I start thinking about the holidays and holiday decorating. This year, however, I am going to add a little color to my front porch and try my hand at winter container gardening. First you need to choose a container. 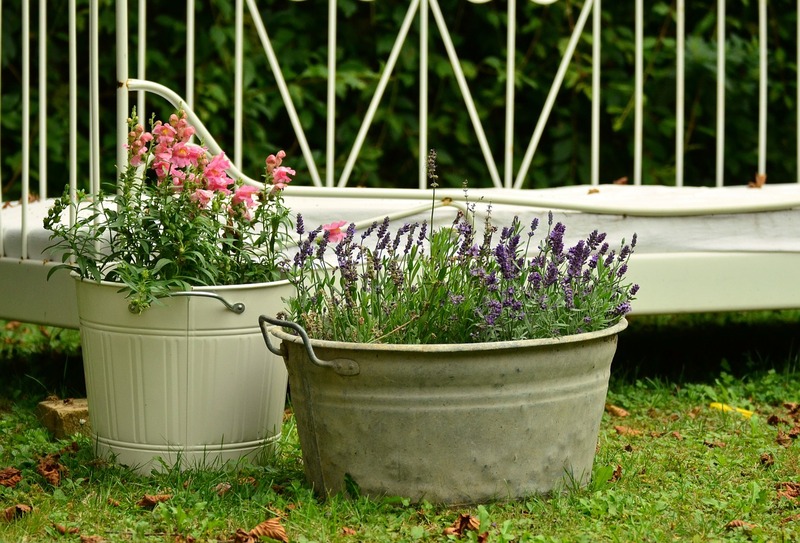 Rustic wooden boxes, half barrels, oil drums, and ceramic or clay pots make great gardening containers. Depending on the extremity of your winter weather, keep in mind that some ceramic and clay pots may crack in the cold. Concrete and stone containers are the most weatherproof. Next choose some plants that look good together. Winter pansies, trailing ivy, small evergreens, herbs, ornamental cabbages, flowering kale, primroses, dwarf deciduous hollies, and variegated yucca are all attractive winter plants that work well together. Try to pick some short, some tall, and maybe a trailing ivy for variation. To prepare the container place some broken clay pot pieces in the bottom to allow for drainage. Add a layer of potting soil, arrange the plants, and then add more potting soil to about 1 inch from the top. When arranging the plants, place the trailing plants (e.g. ivy) around the outside edges of the container. You can accentuate your living plants with evergreen branches leftover from Christmas decorating or other ornamental branches like spruce, cedar pine, or red-twig dogwoods. Pinecones also add some variety to your plant arrangement. Water your winter container garden approximately once per week. It is not necessary to fertilize your plants in the winter weather. The potting soil will contain enough nutrients to get them through the winter. In the spring you will probably want to remove the evergreens and plant them either in a larger container or in your yard. The primroses and pansies can be removed to make room for spring flowers, and the ivy and holly will remain green throughout the year and can be used to accentuate flowers during other seasons. Try your hand at a winter container garden this year and add some color to the dark cold days ahead. Winter doesn’t have to be dull and colorless!